Wrap in paper first individually, then packed in bubble bags, then put in standard export carton packing, or OEM packing. 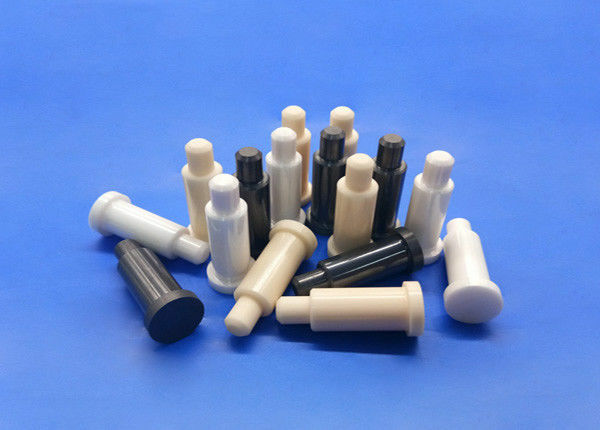 These ceramic pins are customized according to clients' drawing and made of high purity alumina ceramic, zirconia ceramic and Si3N4 ceramic, they are applicable to high temperature usage, such spot welding pins, guide pins and dowel pins. All types ceramic pins will be wraped in paper first individually, then packed in bubble bags, finally put in standard export carton packing, or OEM packing..